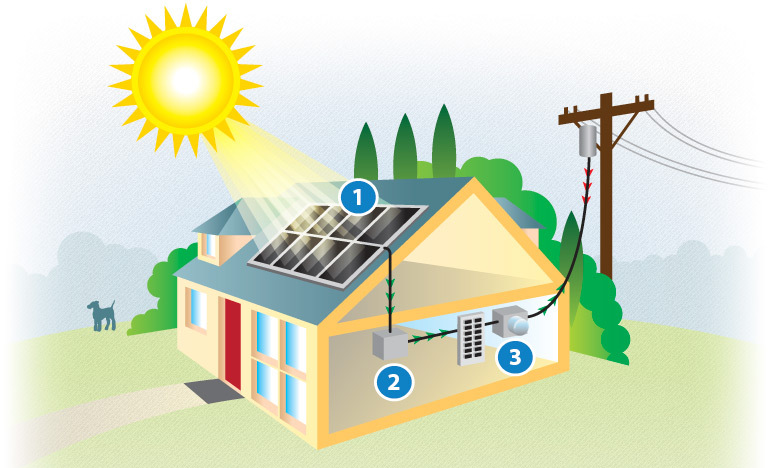 Solar Energy Significantly Reduce the Electricity bill and dependency on rising Cost Power Grid. Solar Power Does not release CO2 emission like the power generation from Fossil Fuels. As a source of energy, solar power is a job-creating powerhouse. On top of the above reliability benefit, no one can go and buy the sun or turn sunlight into a monopoly. The inverter converts DC into alternating current (AC) electricity and power to your lights and appliances.. The utility meter measures the energy you draw and feed back to the grid .